The way people shop is changing. Put simply, if e-commerce was the second era of shopping, smartphone shopping is the third – and it is fast approaching. It is not inconceivable that, by 2020, we will give little thought to desktop web sales, focusing instead on those made on mobiles and in store. The momentum behind this shift comes from the practical reality that people spend most of their time on mobile phones. The future of mobile shopping hangs on brands and retailers’ ability to make the smartphone shopping experience easier and more enjoyable for the customer. As it stands, shopping on a mobile phone can be slow and clunky. In today’s market, apps that enable smartphone shopping are underdeveloped, while it takes patience to use websites that aren’t specifically built for a phone’s operating system. One of the principle issues is brands have taken long enough to get used to the challenges presented by e-commerce, and are therefore reluctant to adapt their approach again. This has made the advance of shopping-focused apps somewhat sluggish, despite mobile’s significance in any promising retail strategy. 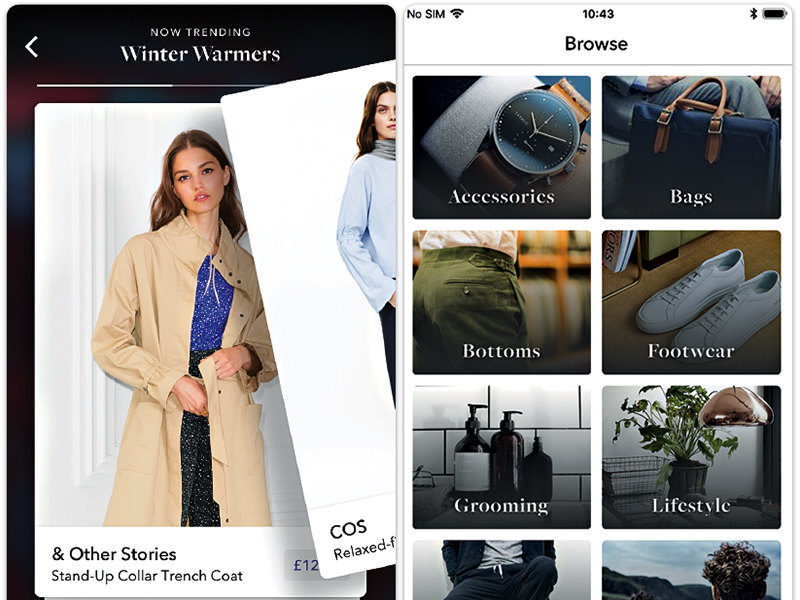 The ‘native’ app will soon become the centrepiece of any mobile-forward retail strategy. A native app is one built specifically for a mobile phone’s operating system, and thus makes for a far more user-friendly experience than browsing the web on a mobile. In other words, e-commerce is a game of numbers, and native apps are the best way to bring those numbers in. This can be demonstrated by the experience of brands with both a native app and a mobile website, which unanimously report a three-times-better conversion rate on the app, as well as up to an eight-times-higher retention of customers. To delve into this numbers game a little further, it is illustrative to note the following nugget of industry wisdom: profits can be bolstered by up to 50 percent by improving the retention of your most loyal customers by just five percent. As loyal customers are always the most likely group to download an app in the first place, it seems clear this is something brands need to focus on. Despite this evidence, sticking with mobile websites is often seen as the easier route. Mobile web strategies cost less upfront in terms of capital expenditure, and organisations don’t have to foster new skills to optimise the mobile customer journey. However, just as the world of retail changed with the advent of e-commerce, it faces another dramatic transformation with the development of smartphone shopping. Those who fail to focus on these facts will find themselves falling behind and losing their competitive edge once again. The crucial factor to consider is which platform people are spending the majority of their time on; when it comes to mobile, the process through which consumers discover products is all-important. It’s a practical reality that people won’t discover new products by searching through the mobile web, as that is not where they spend their time. In fact, 89 percent of the time spent on smartphones is spent in native apps – a statistic that has highly significant implications for e-commerce and mobile sales strategies. As it stands, brands typically rely on marketing activity to boost discovery. Browser apps like Safari or Chrome also play a role, but this often amounts to a game of mobile AdWords, which essentially becomes a fruitless competition for a small piece of real estate in a highly competitive market. Ultimately, people rarely discover products via their mobiles. This is exactly why it’s ludicrous that brands with loyal customers don’t have their own apps, which could provide free marketing on the home screens of their best customers, on the channel they use most. Against this backdrop, other methods of product discovery are emerging. Platforms like Pinterest and Instagram have totally upended what retailers and brands thought they knew about e-commerce. Such apps have long toyed with fulfilling the needs of shoppers within their platforms, but now appear to be closer than ever to making this a reality. As these apps become increasingly regarded as e-commerce platforms, the whole landscape for product discovery will change; it will move away from being a game of smart SEO and arbitrage on AdWords, and will instead become far more focused on great content, creativity and uniqueness. There are many exciting developments in terms of app development. When it comes to shopping on a phone, customers will seek different apps depending on whether they are in discovery mode or functional shopping mode, undecided or out-and-about on the street. On the discovery side, Amazon Spark is a visual content platform that gives users the chance to buy anything they see while using the feature. Another development centres on the artificial intelligence already being built into the cameras in our phones. For instance, while imperfect in its current state, Samsung’s virtual assistant, Bixby, enables users to find products online by taking photos using the camera on their phone. Going beyond all this, people will soon be able to use augmented reality through an app to visualise a space all around them. This will be fascinating, and will no doubt be used to connect people to even newer forms of e-commerce. Several key innovations are helping to drive this shift from desktop sales to app-based shopping. In terms of mixing experience with functionality, an interesting example is WeChat’s ‘mini programmes’, or the Facebook Messenger bot platform. Perhaps the most significant innovation, however, is Google Play’s Instant Apps, which presents a potentially game-changing concept to the world of e-commerce. The idea behind Instant Apps is to prevent users from being redirected to the app store unnecessarily, downloading pages one by one in the Chrome browser. This does not stop people from downloading the app should they wish to do so, but does mean users with no interest in downloading the app can simply stream the page they need from the cloud. The extent to which this concept is adopted will most likely be determined by how much Google decides to push it. With Android holding a staggering 86 percent of the global smartphone market, it has the potential to have an enormous impact. Ultimately, companies are facing the same challenges they faced when e-commerce initially came to the fore: they suddenly require a new skillset in marketing, an upfront capital expenditure and a heavy time investment. From a leadership point of view, it may feel like a distraction and a big expense, but it is a move that will invariably act to future-proof the company. Often the biggest problem with big brands and retailers is they seek perfection, taking too long to bring out their products. The irony is that big brands tend to overthink their apps to the point of making them unintuitive and unusable. When it comes to designing an app experience, it is vital to put simplicity first. I recently co-founded Mobula, where we have been building our own platform to help brands make the shift to native e-commerce. Mobula seamlessly converts brands’ e-commerce content into an appealing and customisable mobile app. 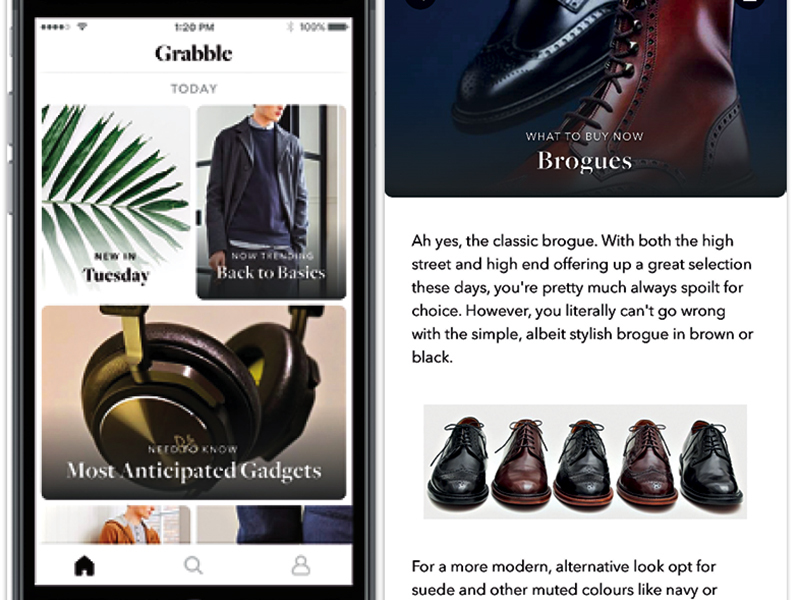 We use insights from my experience of developing the popular e-commerce app Grabble, which has subsequently become known as the ‘Tinder for fashion’. By leveraging this experience, we can learn which features customers do and don’t use, as well as those they do and don’t want to use, giving brands the knowledge required to make a customer-friendly platform. This kind of insight helps reveal the very essence of native e-commerce: what’s the point of a fancy feature if no one will ever use it?